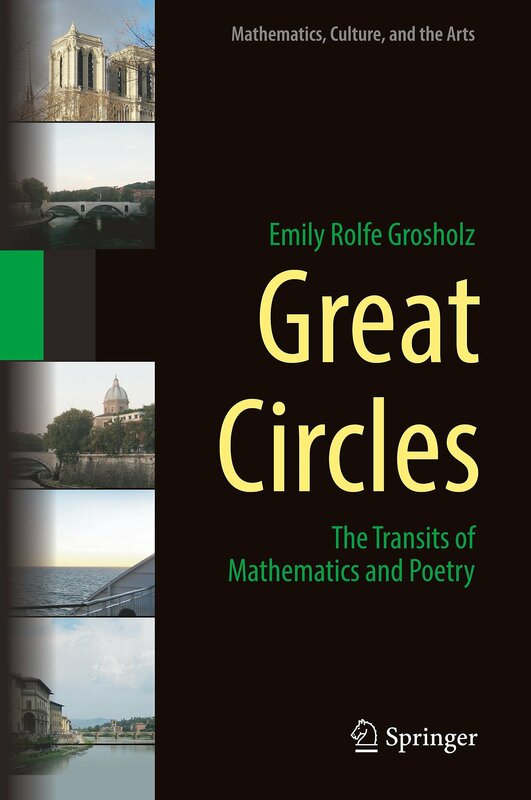 Emily Grosholz, poet and philosopher of mathematics, will discuss her new book, Great Circles: The Transits of Mathematics and Poetry, with Wall Street Journal Critic at Large Edward Rothstein, author of the book Emblems of Mind: The Inner Life of Music and Mathematics. Grosholz’s book shows how poets use mathematical notions and mathematicians use poetic “figures of thought.” Grace Schulman, former editor of The Nation, author of seven books of poetry and a new memoir Strange Paradise: Portrait of a Marriage, will introduce her. About the author: Emily Rolfe Grosholz is Edwin Erle Sparks Professor of Philosophy, African American Studies and English, and a member of the Center for Fundamental Theory / Institute for Gravitation and the Cosmos at the Pennsylvania State University. Grosholz has written seven books of poetry, including The Stars of Earth. Visit her at www.emilygrosholz.com.